I often receive emails from readers asking various questions on everything from Squarespace and Adobe Illustrator to mailing lists and finding a niche. And while I make every effort to answer each email, there aren't enough hours in the day to share the long, detailed response that some of them require (and deserve!). Sometimes it's even more helpful to turn these great questions into blog posts and share my answers with a greater audience, because if three or four people are interested in the same question, chances are that many of you might be interested in it, too. The people who return to the blog day after day are doing so by choice; they have an active interest in our business and our content. We believe that the people who show the most active interest in our blog and business are our most engaged followers. 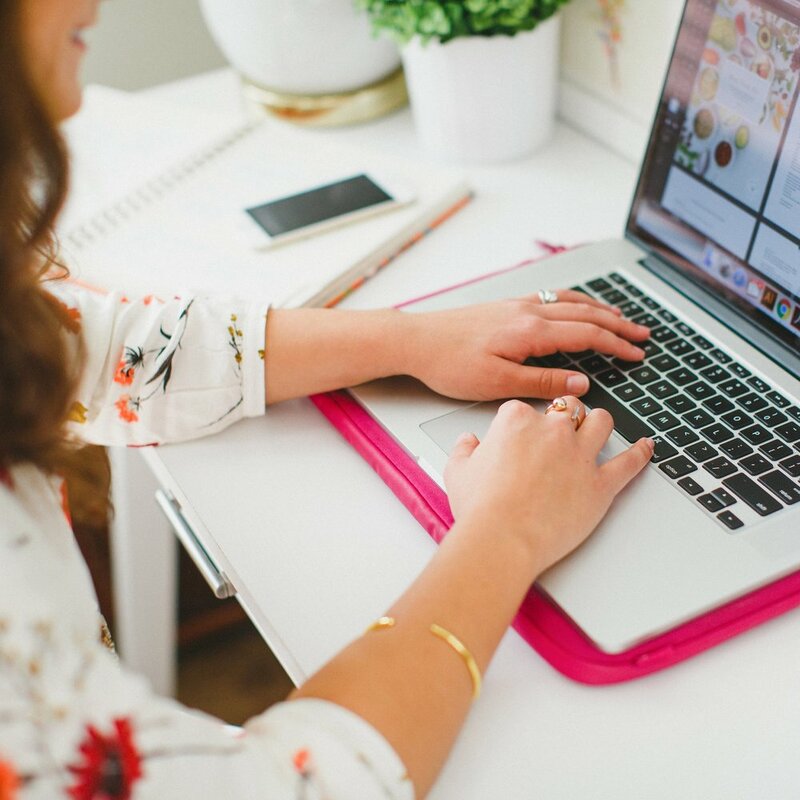 We've noticed that many of the people who comment on the blog, share the posts on social media, and highlight Elle & Company on their blog are more likely to contact me for design inquiries or participate in an e-course. And naturally, they also sign up for the newsletter. However, our email list is made up of many more passive users; although they demonstrated interest when they initially signed up for the newsletter, they could be disinterested in the content of the email and continue to open it anyway. And not everyone opens the email. I'm guilty of signing up for newsletters in the past and either saving them to read later (that list keeps getting longer, and I still haven't read them) or I delete them on the spot. We've noticed that we don't receive as much engagement or feedback from our followers through our emails as we do with our blog posts. For us, we believe that a larger email list and social media following organically grows when people continue to come back to our site of their own freewill. It's also important to note that one of our goals in sending out the newsletter is to drive people back to our site, whether it's to check out a new offering or read a helpful blog post. When people are visiting the blog on a daily/weekly basis, they don't have to go far for these offerings because they're already on the site. The blog draws in new visitors each day from social media and mentions on other sites, which gives us an opportunity to convert new people into active followers and potential customers. People aren't quite so willing to share an email with friends and followers, but it's easy to share a blog post. You don't have as many opportunities to get your business in front of new people and a larger audience with an email list. According to Marketing Metrics, the probability of selling to an existing customer is 60-70%. And while one benefits of having an email list is that you're able to reach the same audience time and time again, you can easily feel bombarded when a business keeps trying to sell things or get you to do something in each email. I think it's important to note that if you are putting a lot of time into your email list, focus on how it's benefiting your audience. Your followers will be much more receptive to your new offerings and product launches when you build trust with them, and that comes through providing value, both through your email list and through your blog posts. Numbers 1 and 2 both lead to this point, and it's one of the most obvious: In order to organically grow your email list, you have to grow your web traffic. It makes the most sense to focus on growing your site traffic first, and your email list will naturally grow as a result. For Elle & Company, we've seen our newsletter list grow as our blog traffic has grown. We don't put as much effort into selling through our mailing list; instead, we use it to give our readers a behind-the-scenes look at how we're working toward our goal of reaching 100k unique blog visitors in one month. We share our statistics each week along with insights on what we're doing to grow our following and increase engagement. We aren't doing this as a fun experiment to see how many followers we can get; we have big goals for the future of our business, and in order to achieve those goals and see success from them, we simply need a larger audience. Leslie, thank you again for your question! While both email lists and site traffic are important, we focus on site traffic because we've noticed more engagement and we've seen it lead to more email subscribers. 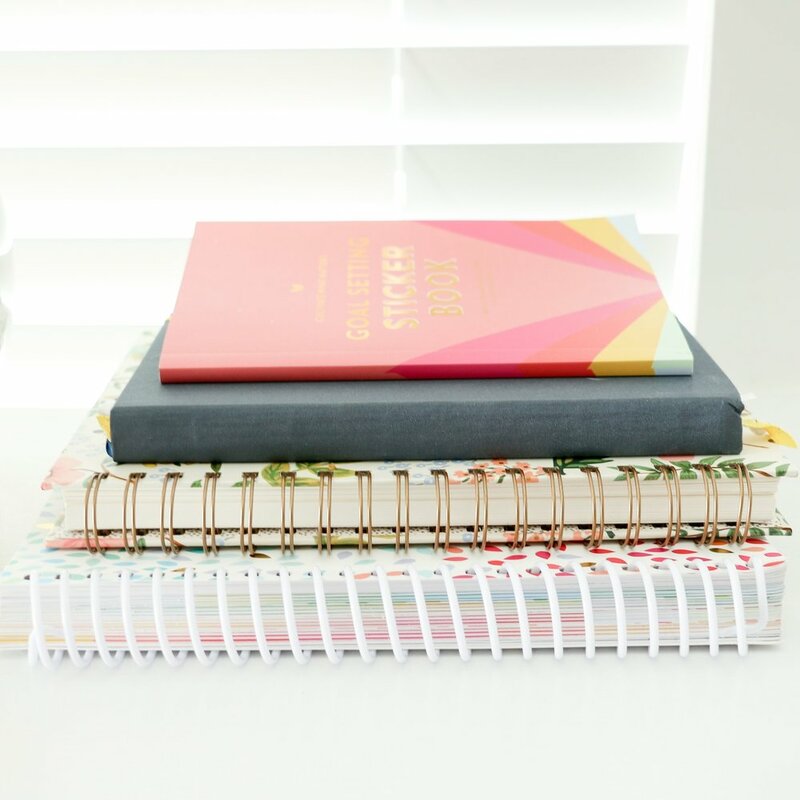 Do you have a question that you would like to see answered on the Elle & Company blog? Leave me a comment and you might be seeing it answered in a post very soon!